Well I was wrong about the timing of Augmented Reality…I thought by now we’d have some real apps on the market, but it’s just not there yet. However, Microsoft has announced some cool glasses which may provide the boost AR needs to take off. Called the HoloLens, they overlay digital images and graphics onto your field of view, and also add 3D/spatial sound for audio feedback as well. Pricing hasn’t been announced, but they’re expected to be for sale this July! Should be cool. Check out the video below which will give you some idea of the potential applications (and they’re applications which, for the most part, don’t require additional innovation to implement) – I think the Minecraft demo is especially cool (and I expect that’ll launch with HoloLens). Read more at SlashGear and TechCrunch. Google is working on a contact lens with electronics embedded that can monitor your glucose level and alert you to troublesome reading via your smartphone or perhaps using LEDs in the lens itself. This isn’t the first ‘smart’ contact lens we’ve seen (see this previous AR contact lens post), but is a really cool application and a way to use what is actually very simple technology to make a significant impact on peoples’ quality of life. You can read more about it at FastCompany. Shipping next June, the MetaPro glasses offer a significantly more immersive experience than Google Glass, but at a much higher cost…$3,000. 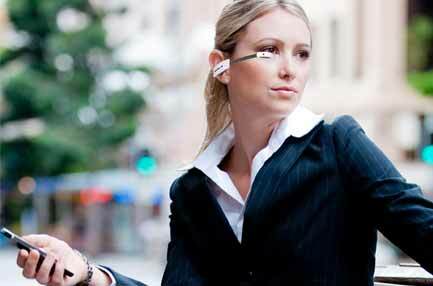 You’ll wear a small computer to wirelessly communicate with the glasses, which can display full 720p HD in a 40 degree field of view. Potential applications for this all come down to software, which is a bit of a chicken and egg scenario. Nevertheless, with more products like this emerging onto the markets, I expect the software side of things to pick up pace in 2014. Meta claims their app store has 500+ apps, which is a great start even if you’re pessimistic and expect most of those to be junk. The one drawback? It has built in cameras. I think people are still going to be uncomfortable around others who are wearing glasses that may or may not be recording everything you say. Read more over at SlashGear or check out Meta’s homepage to preorder. A recent patent application shows a cool possible use for Google Glass…controlling appliances in your kitchen. It’d use the camera in the Glasses to determine which appliance you’re looking at (either object recognition, or perhaps ugly QR codes plastered all over your kitchen), and if the appliance has enough built in connectivity, a command could then be sent to the appliance. The application is broader than just kitchen appliances, as it reflects how this technology could be used in many aspects of your life. Conceivably, knobs, switches, and keypads could all become obsolete. Shipping in 2013 for $399 are these heads-up display glasses from GlassUp, which project a 320×240 pixel monochromatic image onto the right lens, enough for basic text and graphics. It basically acts as a remote display for your smartphone (via a wireless bluetooth connection). It’s a different sort of use than the Google Glasses, which had a corner mounted display and built in camera. Battery life is a bit of an uncertainty, as these will be more suited to occasional, not constant use. Pop up notices when you get an SMS message, for example. Gesture based control such as that provided by the LEAP are pretty cool, but this bracelet takes things a step further. 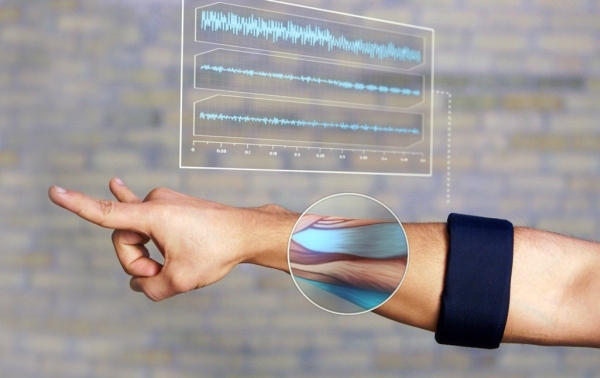 This bracelet uses accelerometers to measure the motion of your arm, as well as devices to measure electrical impulses of your muscles, communicating this via bluetooth to provide gesture-based control of, well, anything. It can even recognize motion of individual fingers. Check out the video below for some examples of how this technology could be used…it’s pretty inspiring. You can preorder this technology from MYO for $149, shipping in late 2013. This is going to be a fun year for geeks who have no fashion sense. Joining the Google Glasses this year will be the M100 Smart Glasses (maybe they’ll think of a cooler name?) from Vuzix. It’s essentially a head-mounted computer, with a 720p HD camera, bluetooth connectivity to your smart phone, and a WQVGA display (that’s a mere 240 lines of resolution, less than the original iPhone’s 320 lines if held horizontal) in your field of view. That display, while small, is comparable to a four inch smartphone viewed about 14″ away. Battery life is just so-so…8 hours when used as a handsfree headset for your phone, or two hours if the display is active (and only about half an hour if you’re also using the camera). So, why would you want one? Well, like the Google Glasses, it’ll really come down to the software applications yet to be written for these devices. It’s a small step towards truly Augmented Reality, but a cool one, and I can’t wait to see what software developers create for these. Give it a couple years, and as software matures and battery life improves, I think you’ll see a lot of people wearing things like this. Check out this cool video of a fictional augmented reality / contact lens application. I find videos like these fascinating, for the potential AR applications they expose. This video in particular hits on all the typical uses…entertainment, reality enhancement, self improvement, etc. Also hits a bit on the darker side of this, blurring the line between being fully human, and just doing what machines tell you to do. Worth watching (especially the end…). If you’re more the DIY type, check out the video below that shows someone making their own version of this touch sensor. You can find instructions and details here.